NASA’s commercial partner Orbital ATK completed a trial test on the Antares rocket on Tuesday; the trial was able to determine the missile’s ability to deliver supplies to the International Space Station somewhere near 2018. Orbital ATK is an American company that specializes in manufacturing aerospace and defense structures, and it was born in 2015 after the merger between Orbital Sciences Corporation and Alliant Techsystems. The trial consisted of testing the newly added RD-181 engines on the rocket as it remains attached to the launching platform at the Mid-Atlantic Regional Spaceport in Virginia. The first flight is scheduled to launch in July of the current year. On Tuesday, Orbital ATK finished the first major trial of the Antares Rocket which has been upgraded after it exploded six seconds after launch on 2014. The company announced the success of the “fire” test. 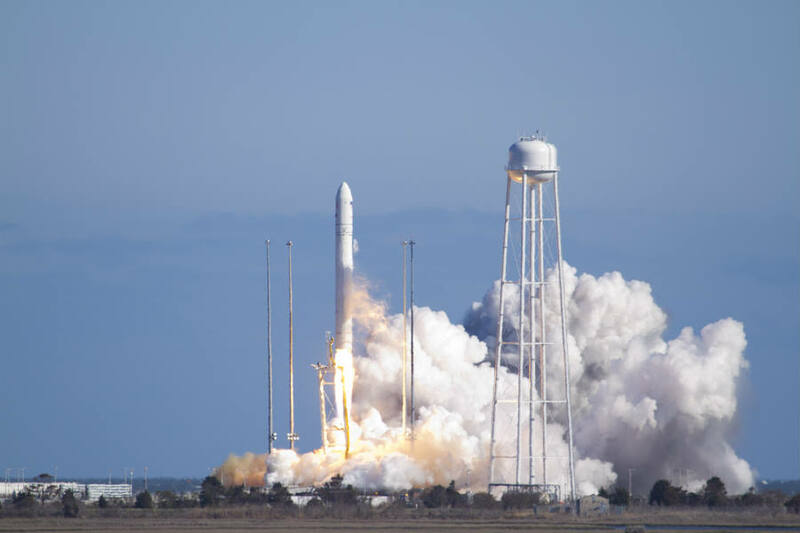 Aerospace company, Orbital ATK, has been working on the restructure of the Antares rocket for over a year after the explosion occurred in 2014. Even though investigations on the incident are still being made, specialists suggest it could have been poor manufacturing. The 2014 incident occurred six seconds after the Antares rocket was launched, no personal or astronauts were near the explosion when it occurred. At the moment, the company assured it had happened thanks to an anomaly and were investigating the facts. The fire that happened after the incident was caught on camera and was shared with the world. When the rocket exploded, the Cygnus capsule that was on top of the rocket was carrying 1360 pounds of food, flight equipment, spacewalk equipment and hardware. The first Antares rocket had AJ26 engines originally, yet the company opted to replace them with Russian manufactured engines called AJ26 to prevent future incidents. The primary goal of yesterday’s “fire” trial was to understand if the drivers worked well. “Early indications show the upgraded propulsion system, core stage, and launch complex all worked together as planned,” said Mike Pinkston, who is the general manager of Orbital ATK and the vice president of the Antares program. The successful result means that both NASA and Orbital ATK are one step closer to launching the first recycled rocket to a lower Earth orbit and send supplies to the ISS. Although the vehicle still needs to be checked on other issues. 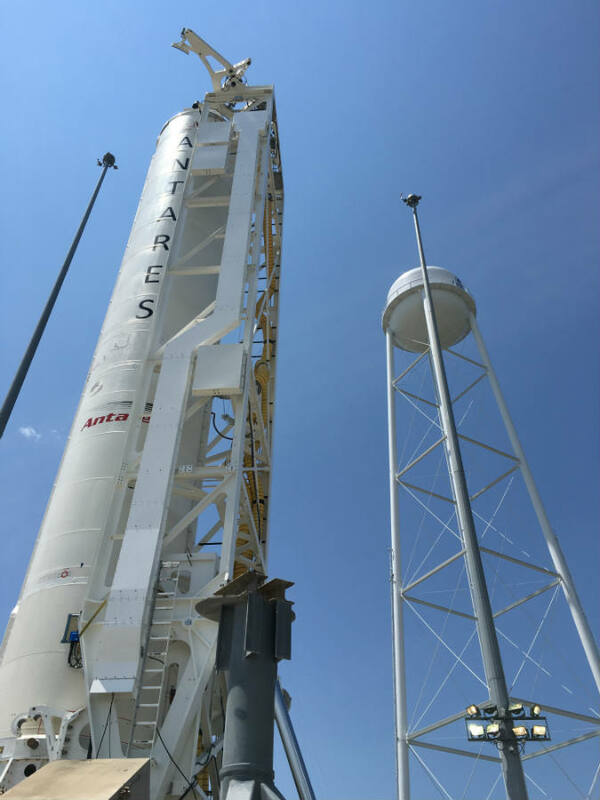 The rocket that will be traveling this July is a different Antares rocket that has been restructured and completes all of the traveling requirements. Orbital ATK had a contract with NASA in which the company will guarantee supplies for the ISS in different time periods with its Cygnus cargo capsule that went on top of the Antares rocket, but after the incident in 2014, the company had to change the tablet to the Atlas v Rockets.